Looking to add a small yet modern touch to your current interior? Introducing this beautiful Small Silver Ceramic Modern Table Lamp, complete with a silver ceramic base that will simmer in the light. 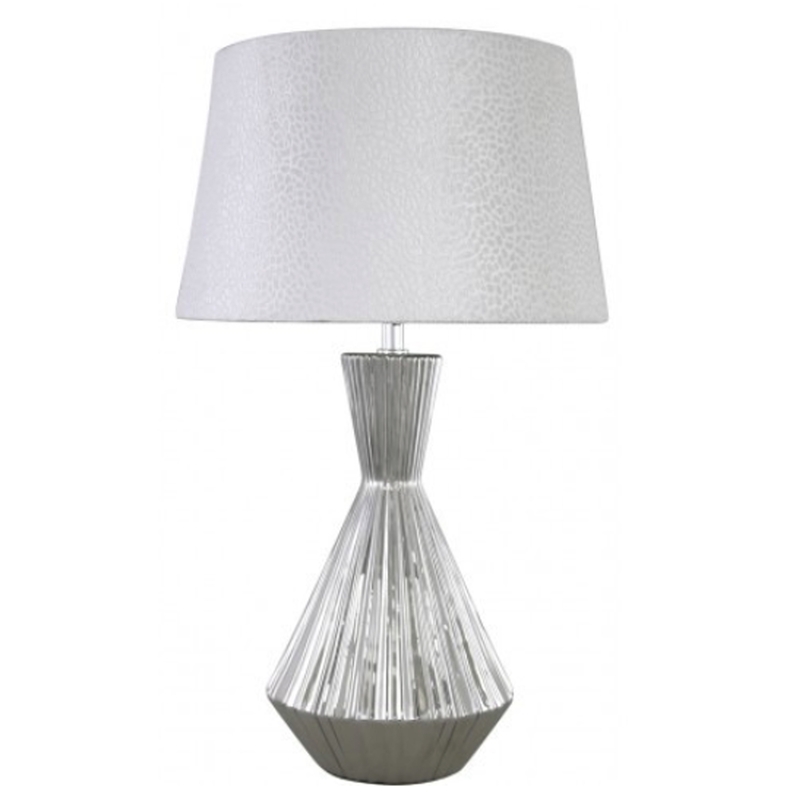 This lamp is topped off with a white silk shade that perfectly contrasts with the silver base.